“Faster deployment of new products and services is expected to drive the overall growth of the high performance computing as a service market”. The HPCaaS market is projected to reach USD 10.0 billion by 2023 from USD 5.7 billion in 2018, at a CAGR of 11.9%. The high performance computing as a service market is driven by various factors such the faster deployment of new products and services, access to better technologies, and reduced capital costs. Whereas, privacy concerns, performance reliability issues, and data protection concerns are the major restraints to the high performance computing as a service market. In high performance computing as a service market, the BFSI segment has the largest share during the forecast period. Financial institutions are adopting hosted private cloud and colocation services for security concerns, which is pushing BFSI segment toward the highest growth rate. In BFSI, HPCaaS is majorly deployed in high-frequency trading, capital market analysis, and risk modeling. BFSI is the largest adopter of HPCaaS and expected to grow at high pace from 2018 to 2023. In high performance computing as a service market, public cloud deployment model is expected to have the largest share during the forecast period. Public cloud deployment model offers various benefits to organizations, such as ease of access, faster deployment, and location independence services due to which, it is expected that public cloud deployment model will have the largest market share from 2018 to 2023. Yet, the need of faster node to node communication is restraining the public cloud adoption. Infrastructure as a Service (IaaS) has the largest share in the high performance computing as a service market during the forecast period. The traditional HPC systems require huge start-up investment, with technical and administrative support. With Infrastructure as a Service (IaaS) scientists and researchers are enabled to run their HPC applications in the cloud without upfront investment cost associated with the traditional HPC infrastructure. IaaS platform increases user efficiency, eliminate cluster administration costs, and acts as a “pay-as-you-go” cloud model, simplifying HPC cloud clusters, and making it more accessible. In the high performance computing as a service market, North America holds the largest share during the forecast period. North America is the biggest market and is expected to grow at the highest volume from 2018 to 2023. In the process of determining and verifying the market size for several segments and subsegments gathered through secondary research, extensive primary interviews were conducted with the key people. The major high performance computing as a service providers include IBM (US), AWS (US), Microsoft (US), Cray (US), Sabalcore Computing (US), Google (US), Penguin Computing (US), Adaptive Computing (US), Nimbix (US), Uber Cloud (US), HPE (US), and Dell (US). The study includes an in-depth competitive analysis of these key players in the HPCaaS market, along with their company profiles, recent developments, and key market strategies. 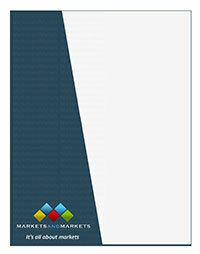 The market study covers the HPCaaS market across various segments. It aims at estimating the market size and the growth potential of this market across different segments, on the basis of type, application, and end user in life sciences. The study also includes an in-depth competitive analysis of the key players in the market; along with their company profiles, key observations related to their product and business offerings, recent developments, and key market strategies. The report will help market leaders/new entrants in this market with information on the closest approximations of the revenue numbers for the overall HPCaaS market and its subsegments. This report will help the stakeholders to understand the competitive landscape, to gain more insights to better position their businesses, and plan suitable go-to-market strategies. The report will also help stakeholders to understand the pulse of the market and will provide them with information on key market drivers, restraints, challenges, and opportunities.